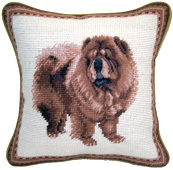 Small Needlepoint Dog Breed Pillows - Elegant 10" Dog Pillows Available in over 70 Breeds. 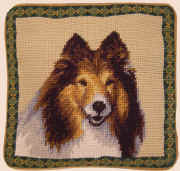 Available in nearly 60 breeds, including Labrador Retriever, Spaniel, Terrier, Bulldog, German Shepherd, Corgi, Chihuahua, Boxer and Collie. 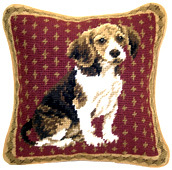 Plush, Colorful and Classy Needlepoint Small Needlepoint Dog Breed Pillows! The Ultimate Shopping Boutique for Dog Owners. 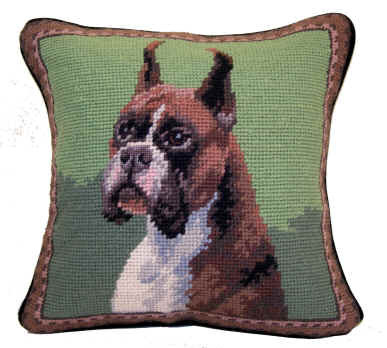 Select a Small Needlepoint Dog Pillow or other Dog Gifts From OVER SIXTY BREEDS!! 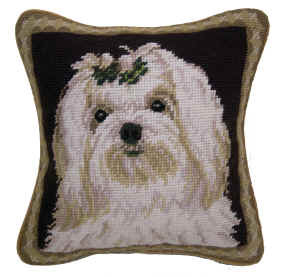 Beautiful, exquisitely detailed wool needlepoint, adorned with your favorite dog. 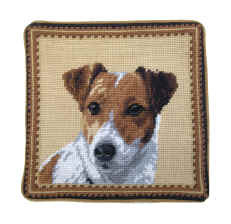 Facing is 100% wool with a velvety soft backing. Zipper for removal of outer casing for dry cleaning. Exceptional quality at a reasonable price. Not All Styles In Stock. 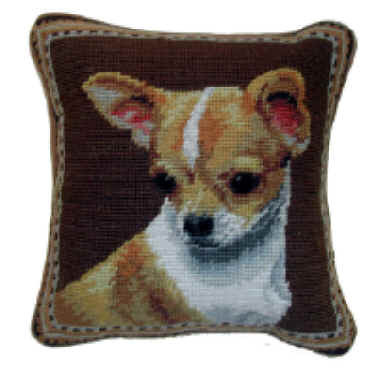 More in our collection of beautiful, plush, handcrafted needlepoint dog pillows, these Small (10") Dog Breed Pillows make lovely additions to your home decor and are affordable dog gifts. 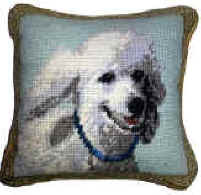 Classy and elegant... each pillow depicts your favorite dog in vibrant colors.